So you think you know all about bipolar disorder? Try this quick bipolar disorder quiz! Answers to the quiz appear below. 1. Can I take my own bipolar test? Are reliable bipolar self tests available? 2. Can bipolar disorder be cured? 3. What treatments are effective for bipolar? 4. Are bipolar people dangerous? 5. Are SSRIs good antidepressant drugs for people with bipolar depression? 6. Who are some famous bipolar people? 7. Can people with bipolar disorder qualify for social security disability? 8. Is bipolar disorder a hereditary disease? 9. Is bipolar disorder mainly characterized by frequent, extreme mood swings from serious depression through to manic elation? 10. What is the relationship between bipolar disorder and manic-depressive illness? 11. How is bipolar disorder diagnosed? Part of effectively treating bipolar is learning about it through tools like this Bipolar Disorder Quiz. 12. What other illnesses commonly occur along with bipolar disorder? 15. Can children have bipolar disorder? 16. Is it true there is a link between bipolar and creativity? 17. Is bipolar disorder purely a mental illness or can it affect physical health? 1. Yes, the Internet has several professional bipolar tests freely available. My favorite is the Black Dog Research Institute bipolar test. 2. Bipolar disorder is a chronic condition. It cannot be cured. However, it can be effectively treated. In fact, with the right treatment, bipolar disorder is one of the most manageable of all mental health conditions. 3. Medication and talk therapy in combination are effective bipolar treatments. for bipolar disorder. Some people manage their condition with medication alone. Some people who have Bipolar Type II or “soft” bipolar may try to manage with therapy alone, but medication is advisable. People with bipolar disorder also face hugely increased risk of early death from diabetes, heart disease and stroke. 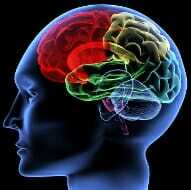 maintenance treatment in people suffering from bipolar depression. 6. Famous bipolar people include Patty Duke, Kurt Cobain, Sir Winston Churchill, Carrie Fisher, Congressman Patrick J. Kennedy, Jane Pauley, Linda Hamilton, Jean-Claude Van Damme, Sinéad O’Connor, and Brian Wilson. 7. Bipolar people can receive social security disability, but it can be a difficult process. 8. Genetics does play a role. The chances of any member of the general population developing bipolar disorder is 2%. With one bipolar parent, the likelihood rises to 10%, and with two bipolar parents, the likelihood rises to 40%. However, in identical twin studies, 57% of the bipolar individuals had a bipolar twin. If genetics were the sole determinant, this would be 100%. 9. My guess is that this is one bipolar disorder quiz question that many will be confused about. It is a misconception that all bipolar people have frequent and dramatic mood swings. A small proportion of bipolar people are “rapid cyclers”, but overall bipolar people tend to get stuck in a mood (usually depression rather than mania) for longer than non-bipolar people. Also, bipolar is actually several different mood disorders and the moods may take many forms. Mania is not always extreme and is not always expressed as elation. Sometimes it can appear as irritation, for example. 10. Bipolar disorder is also known as manic-depressive illness. Some people prefer “bipolar” as they feel it captures the notion of mixed episodes, others prefer “manic-depressive” because it captures the notion of mood swings, the need to have both types of episodes, and is less likely to be used synonymously for “bad behavior”. 12. Common co-morbid conditions include anxiety disorders, substance abuse, migraine, thyroid illness, obesity, type II diabetes, and and cardiovascular disease. 13. “Kindling” is the worsening over time of untreated bipolar disorder. Research suggests that if left untreated, bipolar disorder gets progressively worse, with rapid cycling and more serious episodes developing, compounded by the disorder becoming more resistant to treatment. The theory is that more and more brain cells become highly sensitized and prone to “ignite”, in the same way many small pieces of wood can ignite serious fires. 14. In 400 BC Hippocrates linked the black bile of melancholia with the yellow bile of mania. This appears to be the earliest documented discovery of bipolar disorder. See discovery of bipolar disorder. 15. Children can have bipolar disorder, although there is a lot of controversy about diagnosing bipolar disorder in children before at least the age of puberty. In fact, this will probably be the most disputed question on the bipolar disorder quiz. See childhood bipolar disorder. 16. While it is true that there is a strong link between bipolar and creativity, the historic belief in such a connection has often been exaggerated and romanticized. See bipolar disorder and creativity. 17. People with bipolar disorder also face hugely increased risk of early death from diabetes, heart disease and stroke. 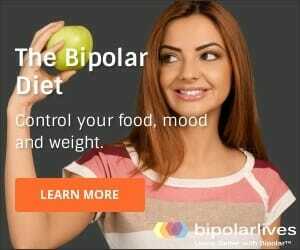 Did you know that 35% of people with bipolar disorder are obese? In fact, people with bipolar disorder are up to two times more likely to die from heart disease, diabetes and stroke than are members of the general population. If you want to dig deeper than the bipolar disorder quiz, check our Bipolar Facts page.